About the BallisGroup: ballisgroup brings the highest level of professionalism, integrity and commitment to the individual real estate needs of each client and family we serve. 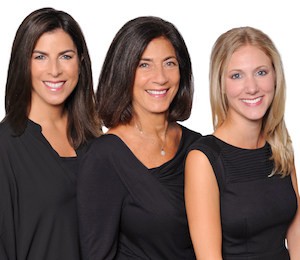 Our clients receive the team’s full attention, highlighted by effective communication and unrivaled access to team principals Elizabeth Ballis, Deborah Ballis Hirt and Nicole Niermeyer. With over 50 years of combined service to Chicago home buyers, ballisgroup achieves success by focusing on personal real estate goals. ballisgroup is one of Chicago’s Top Producing Real Estate Teams serving Chicago’s North Side: Lincoln Park,Lakeview, Roscoe Village, North Center, Lincoln Square, Logan Square, Old Town, Gold Coast, River North, Streeterville, Bucktown, Wicker Park, West Loop, and more. Elizabeth Ballis: Since 1980, Elizabeth Ballis has brought passion and energy to helping people find a place that will truly be home. Elizabeth Ballis is an expert on current market conditions, Chicago’s housing values, and the local business climate. Her dedication and market knowledge are unmatched, and she is also recognized as an expert negotiator. Elizabeth has represented her clients in over 1,400 transactions, maintaining communication at every step and ensuring that her client’s needs are met. Even beyond the closing, Elizabeth remains a remarkable resource for countless clients. Deborah Ballis Hirt: Deborah brings a unique perspective to ballisgroup. With 20+ years in the real estate industry and experience in city government, she shares Elizabeth’s focus on providing luxury service to clients on every type of transaction. Deborah shares her in-depth knowledge of residential construction, contract management and her broad understanding of Chicago with every client. Her background includes positions with Chicago Public Schools, the Public Building Commission and the Mayor’s Office of Special Events. Nicole Niermeyer: Nicole Niermeyer joined ballisgroup in 2016 and knows exactly how vital it is to go above and beyond to give clients the focused attention and dedication they deserve. With her background in academia at the University of Chicago, Booth School of Business, Nicole has transferred her client relations and problem-solving skills to a successful real estate career. Those that work with Nicole can be confident they will receive exceptional attention to detail and professionalism while she assists them through every step of the transaction.